Making the Switch to Mobile – Are You Missing Out? According to studies, Real Estate Agents are increasing their spending on technology to gain business. While we’re on the topic of online sharing, it’s becoming more apparent that the old school ways of offline real estate marketing is on its way out. A recent survey of over 2,000 real estate professionals reveals that spending on technology and technology based marketing is growing among the most successful agents. As the prevalence of technology-based marketing grows every day, it’s becoming extremely important for you to use it in the most effectively way possible. iGoIDX is a mobile web platform that provides clients direct access to our mobile friendly IDX(Internet Data Exhange). iGoIDX is accessible to your clients, anywhere, anytime, on any mobile device. The best thing about iGoIDX is that they they provide an optimized user experience for mobile users without having to download any apps. iGoIDX also provides direct access to the most important property details and relevant listings right in the user’s desired area. Complete with a the Live GPS search feature, iGoIDX provides clients the ability to search listings near their current location, bringing them that much closer to their dream home. Generally, the most successful agents who earn over $100k per year have the best, highly customizable web sites and ways to showcase their listings. 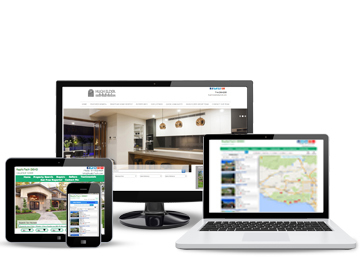 The ease of immediate, no frills access to search homes on mobile devices makes it easier for clients to navigate appropriate properties front and center. iGoIDX also allows users to sign up for free email listing alerts when desired properties become available as well as one-click contact points to ask questions or book listing appointments. Unfortunately, when agents miss the chance at taking advantage of these features, clients have a harder time accessing important details on the go. Essentially, a mobile optimized Web Site provides your clients a relevant mobile experience that is second to none.